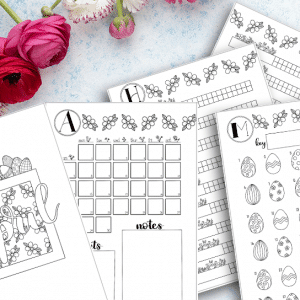 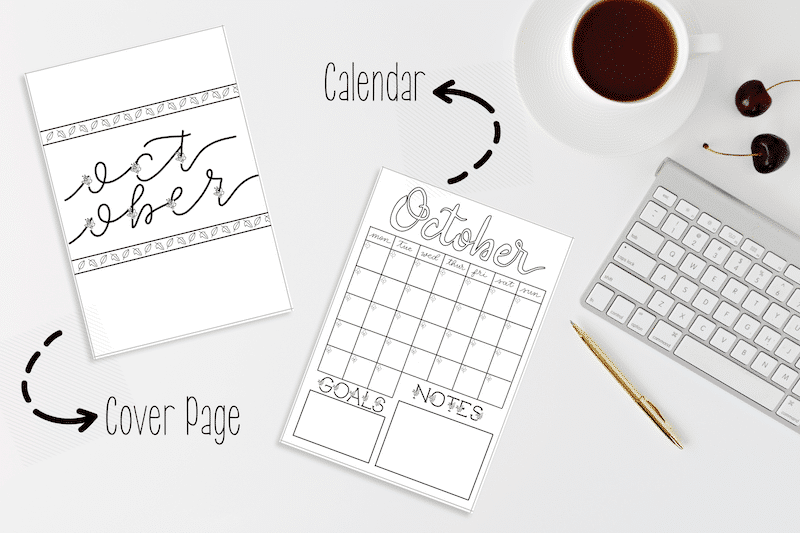 This October setup will save you time and add a bit of fall festivity to your bullet journal. 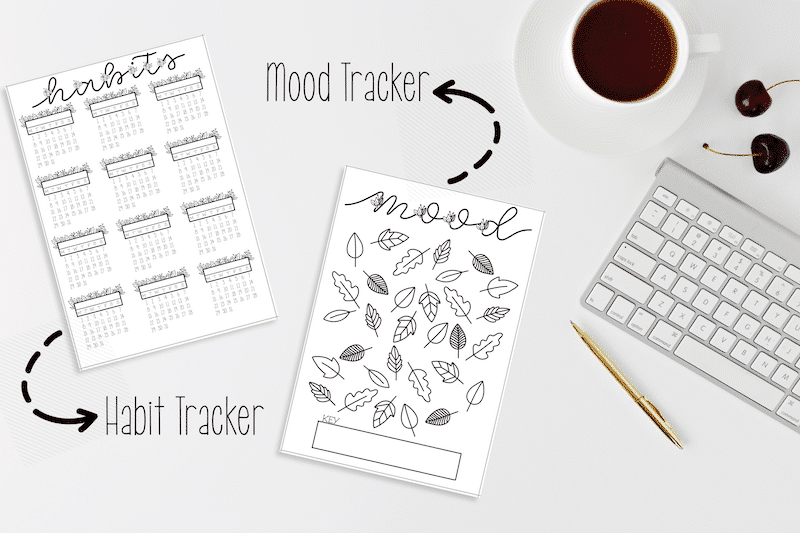 With a cover page, calendar, habit tracker, mood tracker, you will be set up in just a few minutes. 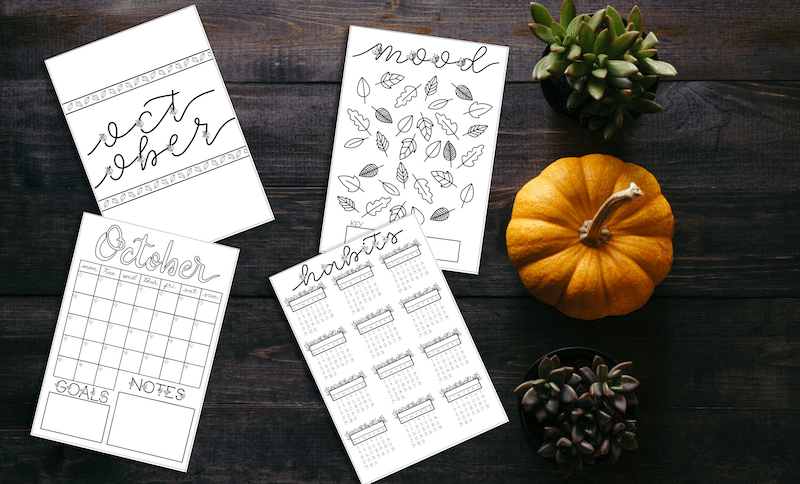 Get your bullet journal ready for fall with the October 2018 Bullet Journal Setup. 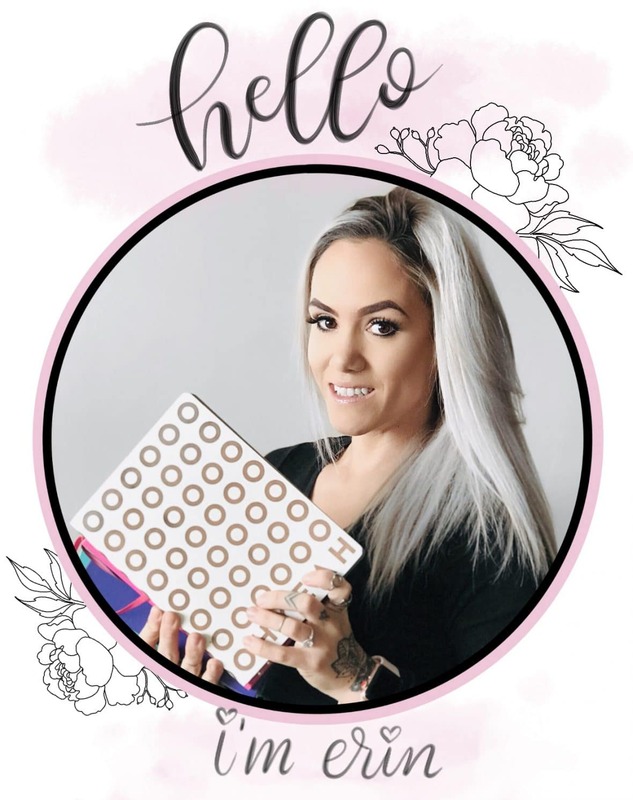 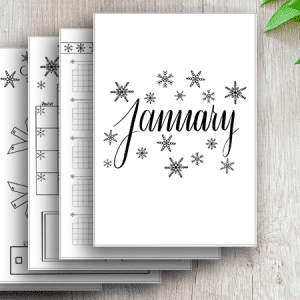 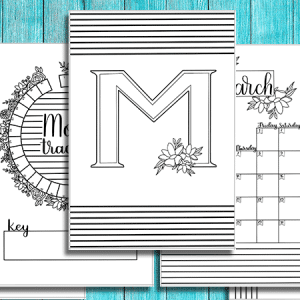 This set includes a cover page, calendar with sections for goals and notes, habit tracker page, and mood tracker page. 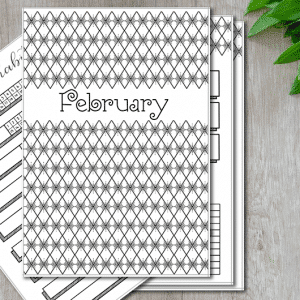 You can choose if you want a dot grid or blank background before checking out.